Located along the Caledon River, Maseru is the capital city of Lesotho, a land-locked country within South Africa. Founded by the British in 1869, Lesotho gained its independence in 1966 and Maseru flourished as the administrative and touristic capital. Surrounded by the Maluti Mountains, Maseru boasts magnificent landscapes, wildlife and a rich, vibrant culture throughout its ethnic villages. Cheap flights to Maseru are now available for a limited time only, so book your flight today and prepare to be amazed by the exhilarating scenery and thrilling adventures this city has to offer! Maseru is home to Moshoeshoe International Airport (MSU), only a 25-minute drive from the centre of town. Moeshoesshoe International Airport serves a multitude of airlines, including South African Airways. Non-stop flights depart from Cape Town and Johannesburg. The flight duration from Johannesburg is 55 minutes. 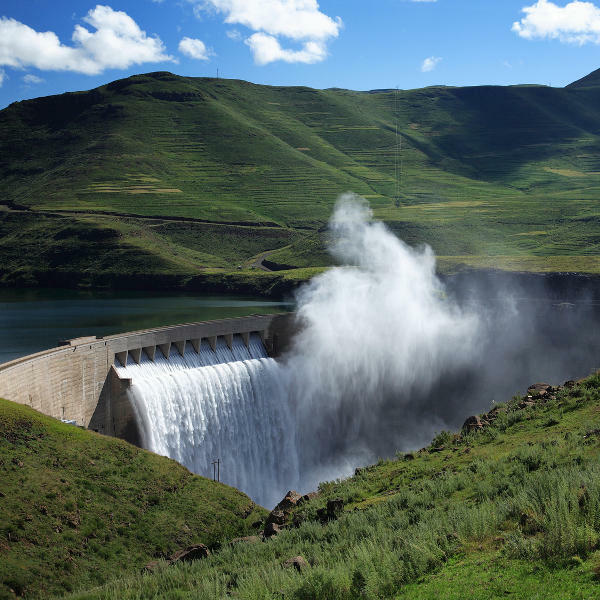 The Maluti Mountains are a hiker’s paradise where you have a bird’s eye view of the majestic hills and passes, intersected by the sparkling Katse Dam. See the plunging Maletsunyane Falls and explore the historical caves along the way. Hire a 4X4 and do some off-road exploring; visit the historic, conical features at Thaba Bosiu. In summer, the lakes and dams are ideal for canoeing, while winter brings avid skiers to the slopes of the Maluti Mountains. Explore the rural villages tucked away in the highlands, boasting some historical artefacts and original crafts of the local artisans. 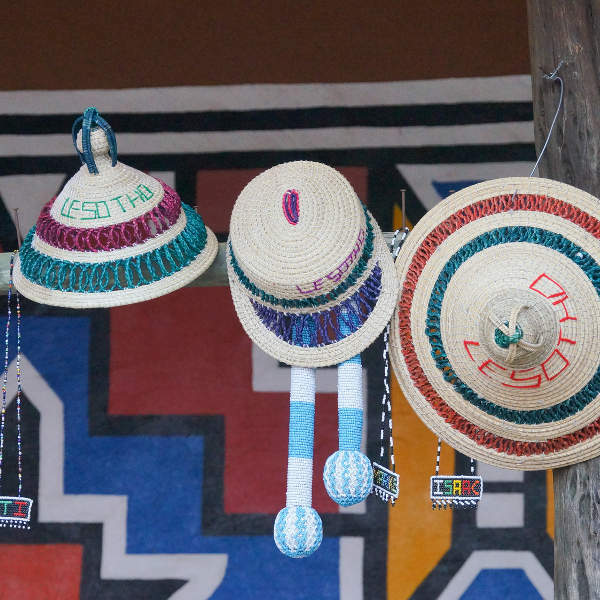 A trip to Teyateyaneng market boasts a selection of traditional Basotho hats, wooden carvings and authentic souvenirs. Maseru experiences fairly mild conditions throughout the year, making any time a great time to visit this welcoming city! Summer time, between October and April, is blissfully warm and if you don’t mind the occasional rain showers, this is a lovely time of year to enjoy some hiking, bird watching and swimming. The snowy winters bring an icy glaze over the lakes and rock pools, and the frosty mountain air is wonderfully refreshing! Lesotho is an outdoor paradise left largely untouched. The scenery is spectacular with lush valleys, soaring peaks, plunging waterfalls and ancient caves dotting the landscape. With its highest peak of Thabana Ntlenyana towering well above 3000m, it is little wonder Lesotho is called “Kingdom of the Sky”. Lesotho is rich in natural attractions, the perfect playground for nature lovers. If you’re a keen hiker, consider hiring a local guide to take you around the remote villages in the highlands of the Sani Pass. Another exciting way to explore the breath-taking landscapes is by pony-trekking. 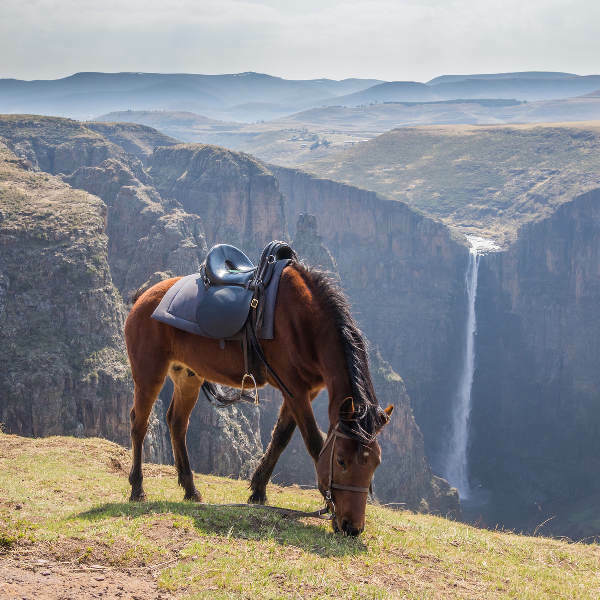 The sure-footed Basotho ponies climb to daunting heights and you’ll get to see some incredible scenery and truly authentic rural villages. Make sure you pay a visit to Semonkong Falls, which plunge 200m into a swimmable pond. In winter the falls become encased in ice and the plunging cascades become a crystalline wonder. Winter also offers fabulous skiing at Oxbow, with sunny slopes and great runs. The local culture is well preserved in Lesotho, and many of the houses in smaller villages and towns remain in the traditional Mokhoro style. The thatched roofs and mud-brick walls lay claim to the regions authentic, African roots. History buffs will love the intriguing rock art in hidden caves throughout the mountainous landscapes. Compare several airlines and book your cheap flights to Maseru online at Travelstart! South African passport holders do not need a visa to visit Lesotho. Ensure your passport is valid for 6 months after your return date, and that you have 3 blank pages available for entry stamps. The South African High Commission to Lesotho is in Maseru @ Cnr Kingsway & Old School Road, Maseru. Phone: + 266 2222 5800. Travellers to Lesotho do not require any mandatory immunizations, though it is advisable to be up-to-date on routine vaccines. Depending on your travel itinerary, you may want to consider getting vaccinated against Typhoid and Hepatitis A. Bring a supply of any prescription medication you may require as pharmacy supplies are often unpredictable. Tap water is perfectly safe to drink, especially pure water from the mountain streams. Safety in Lesotho is not a great concern. Petty theft does occur, but as long as you exercise basic caution and common sense, you won’t run into any problems. If you’re driving a car, ensure it is always locked and that valuables are hidden away. Leave excess money and passports in hotel safes. Avoid taking photographs of government buildings, military installations and the airport. When in doubt, ask a local!